I'm willing to bet some of you are scratching your head at the title. Back in 2007, when I was working with Tracker Corp, we were exploring the options available for performing automated testing of both Windows applications and Web sites. We had received a number of recommendations, and I was tasked with trying out a few of the options. Ideally, we wanted to have "one tool to rule them all", and while we had some money we could spend on the process, it wasn't unlimited. Tracker's total headcount at the time was 20 people; we weren't looking to break the bank on this. After several screencast demos, a variety of vendor conversations, and me playing with several demo releases and installations, I decided that I liked AutomatedQA's tool TestComplete. It had some cool options for providing what I liked to refer to as "computer aided testing" within a Windows app, and it let me "Record and Playback" a variety of basic tests. Now, I need to make a few things clear. I was never an expert at TestComplete. It used languages that were fundamentally different than what our team was using, though VBScript was a close enough environment that I could use it to communicate with our team, who were using VB.net or C# for most of the application code we were writing at the time. Also, we had implemented our web solution using a tool called DotNetNuke, which had a stubborn tendency to resist robust automation efforts. Still, even with all of that, I found quite a bit to like in TestComplete. Alas, my journey with TestComplate ended when I changed jobs. 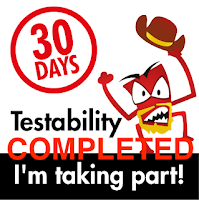 The TestComplete license stayed with my former employer, and I embarked on a new expedition into Ruby/Rspec/Cucumber Land, a realm in which I am dwelling and actively exploring today. Ruby/Rspec/Cucumber and its assorted tools has been an interesting learning curve, and I'm doing quite a bit of testing with them, helped considerably by the fact that my development team uses all of the same tools. Yet I've long wondered "what ever became of my friends in TestComplete land?" How are they faring? What does TestComplete look like now? The cool thing about having a blog, being a tester, and shooting one's mouth off at opportune times is that, amazingly enough, people will listen! It's with this that I was presented with an opportunity. Come back to TestComplete Land, and see what has changed in my absence. Oh, and would I be willing to write a bit of a travel guide and some comparisons to my current workaday environment, and some thoughts about where TestComplete has come since I last visited their fair land? I said "Of course!"... and this is where we are today! So what's the catch? 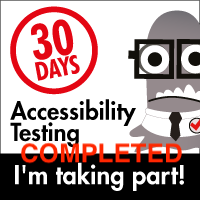 There isn't one, other than the fact that the folks at SmartBear have given me a license for TestComplete for free. In exchange, I write about it and tell them what I think. I'm mentioning this out of full disclosure to say that I have received the software so that I can write about it. I'm happy to do so, but I want to make clear I am not obligated to provide a glowing review. I'll call them as I see them, and if I get confused, lost, or frustrated, y'all will definitely know. Likewise, if I see something really interesting, noteworthy or cool, I'll likewise let you know. This will be a series, and I'll be coordinating with Alex Forbes over at SmartBear over the areas to cover. Stay tuned for further travelogues :).